Just 2 hours from Vancouver, a short ferry ride takes you worlds away to the outdoor paradise of Pender Harbour & Egmont. An outdoor paradise just a short 40-minute ferry ride and leisurely drive from Vancouver. Enjoy some of the many activities we have to offer, including boating, fishing, hiking, golf, music festivals, swimming, car shows, camping, and a whole lot of relaxing. 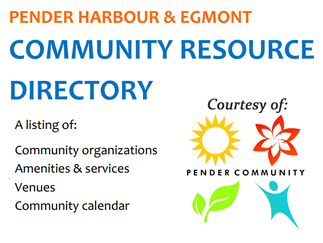 ​Find out more about the Pender Harbour & Egmont area. Pender Harbour & Egmont offers a wide array of amenities and business services for visitors and locals. From shopping to spas to fishing charters, and from building services to auto repair to health services, you'll find everything in our business directory. Parades, races, festivals, and more! The Pender Harbour & Egmont areas are host to a number of exciting events throughout the year. ​See what's coming up next. 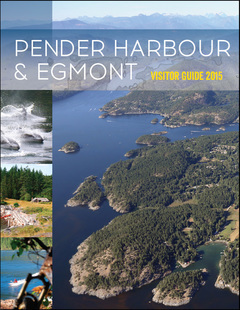 Pick up the Pender Harbour & Egmont Visitor Guide at local stores and get all the inside information! The Pender Harbour & District Chamber of Commerce is a politically-independent, not-for-profit, membership-driven organization. Our goal is to work collectively with residents and community groups to build a strong social and economic base for all, from Pender Harbour to Egmont. More about us. Read the October 2017 President's Message. Pender Harbour was featured as Global TV's BC morning news Small Town feature in June 2014. Watch the clips below for some great local photos!